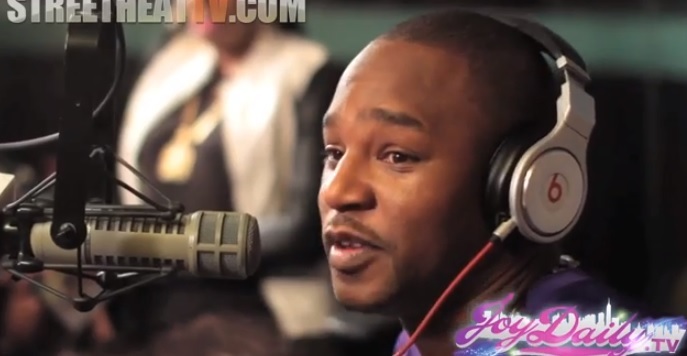 Cam’ron stops by DJ Kay Slay’s Streetsweeper Radio to talk with co-host Joy Daily as SiriusXM listeners tuned in to hear the interview go down. The Harlem bred hustler kicks things off by addressing his relationship with Juelz Santana, Jim Jones and explains that in order for a Dipset reunion to happen the circumstances surrounding it have to be right and organic. Killa also gets into what made him post a somewhat questionable picture of his finance JuJu for the world to see on his Instagram account and breaks down his upcoming 1st Of The Month web series which is set to start in January. This entry was posted in In The Studio, Interview, Video and tagged camron, dipset, DJ Kay Slay, hip hop, instagram, joy daily, juju, Killa Cam, rap, Streetsweeper radio. Bookmark the permalink.